As June brings us to the half-way point of the year, we are going to take a look at the ways in which we create and manifest in our lives. 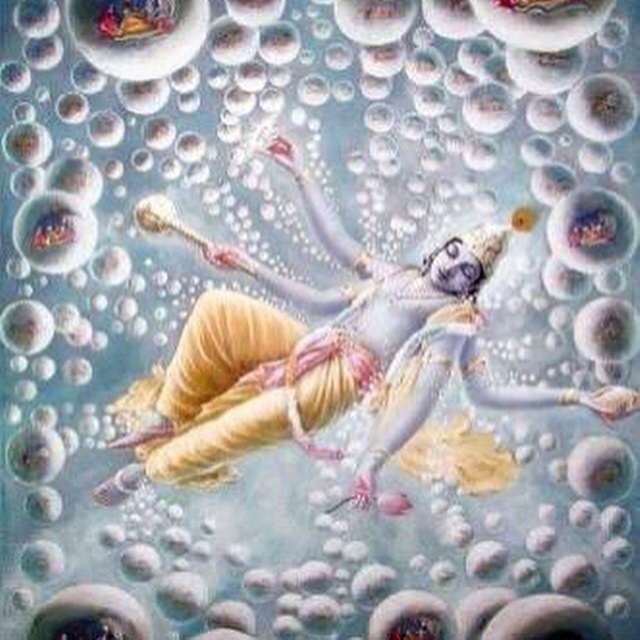 We will also weave in the practice of yoga nidra or yogic sleep as a tool for manifestation. Join Ashi Box by 6:00pm Mountain Time on June 15th in order to receive this unique Ashi Box. All boxes will be shipped on June 20th, so sign up now at ashibox.com! If you have any questions, please contact us at info@ashibox.com. Order at http://www.ashibox.com. Wall Hanging – This gorgeous Saraswati wall hanging can adorn your yoga space, sacred space or any place you will look up and receive a dose of inspiration. 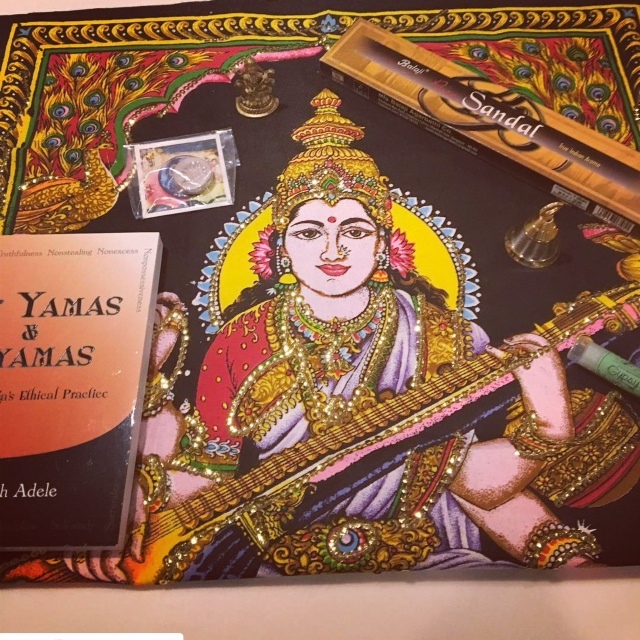 The Yamas and Niyamas: Exploring Yoga’s Ethical Practice by Deborah Adele – Saraswati carries a book in one hand, representing knowledge. This book explores the yamas and niyamas, which comprise the first two limbs of yoga’s eight-fold path and provide the toolkit you need for skillful living. Sandalwood Incense – Saraswati carries a water jug in one of her arms to represent purifying power. Use the incense as this purifying power any time you need to tap into your creativity, tune into your intuition, or yearn to hear that inner voice of wisdom and knowledge. Meditation Stone – Saraswati sits on a lotus and carries a mala to represent meditation. This beautiful white lotus meditation stone has been handcrafted with love by Grateful Heart Yoga. Find more at etsy.com/shop/gratefulheartyoga. Bell – Saraswati is the Goddess of music, art, and writing, and she is generally depicted playing a veena. This bell represents the creative gifts she has bestowed upon you, whether through music, fine art, or words. Hang in a special location or place on your altar as a reminder of your creative gifts. Saraswati Statue (Murti) – This Saraswati statue can be placed in your sacred space or carried with you on days you might need a little creative spark. Gypsy Soul Organics Lip Balm – Every time you use this aromatherapeutic lip balm you can be reminded of your gift of communication. Get your Ashi Box at http://www.ashibox.com!